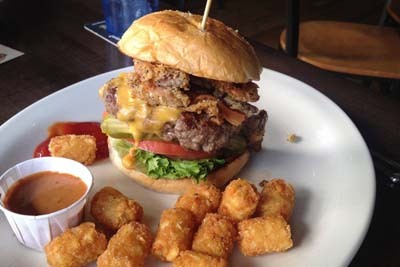 Bad Daddy's Burger Bar in Cherry Creek North is known for their delicious burgers and wings. They have a Create your own Salad option here that is making a splash, and we love that they totally pay attention to detail here. You can't go wrong with the Tater Tot Nachos, Sweet Potato Fries, Fried Pickles, Mama Ricotta Burger, Badass Burger, or the Coleslaw Burger. When it comes to drinks, the margaritas and Apricot beer are two options you aren't going to want to ignore. This will be your new favorite spot to eat. 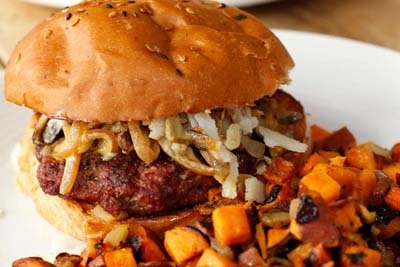 The True Food Kitchen is a vegetarian and vegan option for food in the Cherry Creek area. We love their healthy options for food here...if you aren't a vegetarian, don't worry! They also offer options like Grass Fed Bison Burgers. The Chicken Seasonal Soup is perfect for when those colder months hit, while the Spaghetti Squash Casserole will have you wondering what you've been missing out on this entire time. Be sure to try out the Hummus appetizer, as well as their popular option of the Flourless Chocolate Cake. 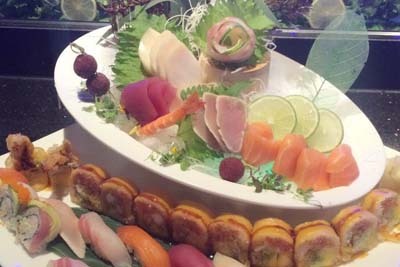 Hasu Sushi & Grill is a Japanese restaurant that's known for their sushi bar experience. We absolutely love the amazing Jing Jiang Pork, Cross Bridge Noodles, and the Shrimp Tempura Roll. The waiters enjoy chatting with you while you wait for your meal, and the expansive menu gives you a ton of different options to consider when you're feeling hungry. The gorgeous presentation will further prove that this was the correct choice! The Spider Roll and Phoenix Roll are two other options that you're going to want to try. 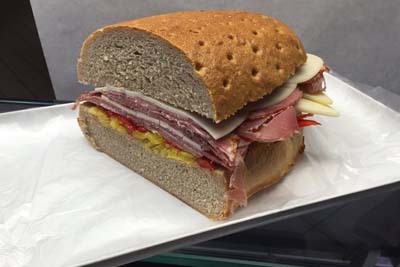 Continental Deli is a German deli destination with lots of options for good food. They have a store front area that has all of the specialty European food products you're looking for such as jams, chocolates, spices, and more. This hidden gem is small, and there isn't much room for seating, so we recommend that you get your food to go. The frankfurters here are way more delicious than the average hot dog that you're used to, and the Pastrami sandwiches here definitely have all of the locals checking in for lunch. Patxi's Pizza is an Italian destination for pizza and beer! 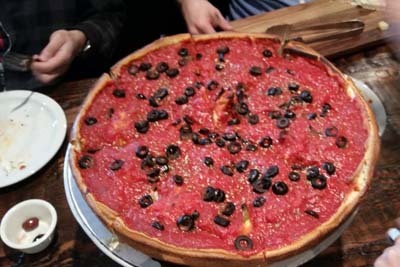 This authentic Chicago style pizza spot also offers thin crust and hand tossed varieties, so there's something for everybody's taste buds. We heard that their salads are out of this world as well, and we can't get enough of the customizable Build Your Own Deep Dish Pizza option. The appetizers are half priced when happy hour rolls around, and we love that their beer selection is seemingly always changing. The owners at this spot are always welcoming to everybody here. Cherry Creek Grill is a beloved restaurant in the area, and once you try out their comforting food choices, you'll see exactly why that is. The gourmet options here are delectable and palatable without coming off as weird, something that happens all too often with the more pretentious restaurants. 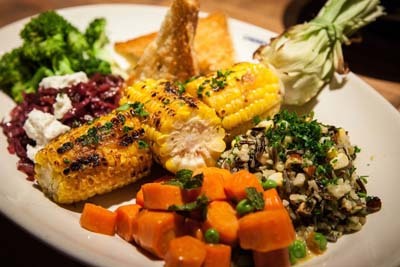 We love the fact that they offer cornbread croutons in their Caesar Salad, and that their rotisserie chickens are always fresh as ever. This is a comfortable dining experience with the dim lighting, and the awesome service by the waitstaff.